In Grade 7, I was sent the principal’s office 24 times. The very last time I told my teacher to… well you know. It was pretty serious. Needless to say this time my parents were called and came rushing to the school to rescue me. What happened instead is that my parents straightened him out. My parents asked, “why has our son been to see you so many times and we have not been called?” They asked him to go through his journal and describe each incident that had brought me to his dreadful office so many times over 4 months. Some incidents were because I was being disruptive, I can see that. I was bored out of my mind and forced to sit in a lecture about something I learned in 5 minutes online. Ouch educators? Sorry but it’s the truth. On a more serious note, I had been trying some non-stimulant medication with my family doctor before going to BC Children’s Hospital’s ADHD Clinic. It made me so sleepy I would lay down on the floor physically unable to sit in my chair. Well, off to the office I went for again being disruptive, like what 12 year old boy in a room with girls purposely lay on the floor for attention!! What was in fact a medical emergency was treated like a behaviour problem. And the school didn’t catch it. Click here to read more about my experiences with ADHD Medications here. Principals, you are ultimately in charge. We need you to make sure WE are safe. #1 – Make your office a safe place, not a punishment cell. If your office has already been used as a negative space, meet kids you need to talk to outside or in a neutral place in the school. Going to the principals office always means you are in trouble and it’s hard to have a useful conversation with a kid under that kind of pressure. #2 – Ask us what happened and try your best to find the truth in what we are saying. This will help us trust you. We too need to feel seen, heard and understood even if our behavior is not exactly what you’d expect at our age. Listen to us and try not to be judgmental. #3 – Don’t always take the teachers side. We need you to advocate for us, not always them. Some teachers just don’t get us and will do or say anything to be right. Learn what you can about us, and help explain and work things out on our part. #4 – Work with us to come up with a behaviour plan we can both live with. I read a quote that goes something like, “plan to fail, don’t fail to plan.” ADHD kids realize that at some point we might mess up. Work with us before it happens to plan out what can help fix things if we do mess up. Here’s an article on my Behaviour Plan that I’ve worked out with my Principal. #5 – Call our parents once in a while and tell them how well we are doing. I’m sure there’s something positive you can share about our behaviour at school. Even if it’s something small, it’s worth sharing. At the same time, update them if you’ve had talks with our teachers — but do it in order to keep our parents in the loop, instead of just “telling” on us. #6 – Award our efforts just like you award the “good” kids. Set up a school that cares about things that are beyond academic achievements, sports and such. A Perseverance Award, Heart Award, Creativity Award, anything that recognizes our strengths. Come up with something good that we can shoot for. #7 – Find a way for us to fully participate using whatever resources you can get. Ensure we don’t miss out on field trips or other special events just because the teacher is worried she/she can’t handle us that day. 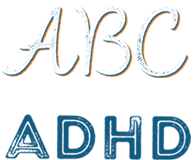 Also keep yourself in the know about ADHD resources, and recommend them to parents and teachers who are struggling with it. I’m building a resource section on my website, take a look and come back to see what’s new on it in a few months. #8 – Put us to work. Call on us to help you with important jobs, like setting up an assembly, or delivering things to teachers. Try giving us a chance to show you how well we can do when someone believes in us.